Everyone has been asking, "Where is the snow?! I thought is was going to be an above average year." They mention how it's a La Nina year and how that is suppose to bring above average snow. Well this is not exactly true. It depends more on teleconnections, especially the NAO (north atlantic oscillation). 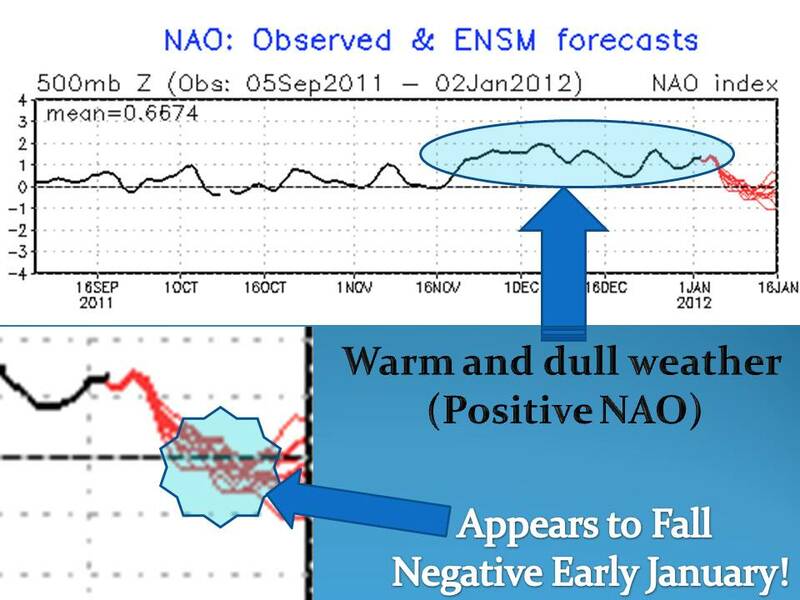 It is true that La Nina years do tend to bring more snow and larger variations in temperatures, but La Nina is usually accompanied by a negative NAO. 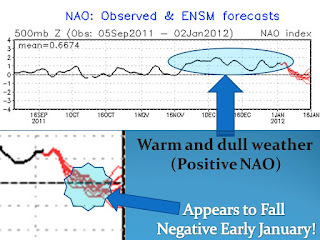 Models are showing the NAO index to kick over to negative or at least neutral by the end of next week. Once that happens conditions will be favorable for winter storm development. Not saying we will for sure have a big storm, but we are on our way! Not much is showing up in the models through the next two weeks, but I expect that to change once the models take into account the negative NAO! Keep it here to Midwest weather talk!